Cult Sci-Fi Movies is a collection of 10 essays that examine, dissect, defend, and exalt the greats of classic cult sci-fi films. 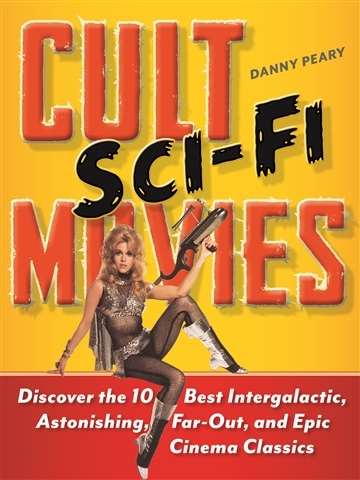 Film geeks, cinema snobs, VHS collectors, and anyone else who likes their entertainment a little on the weird side will appreciate author Danny Peary’s in-depth approach to their favorite sci-fi films ranging from Barbarella to Liquid Sky. Danny Peary is an American film critic and sports writer. His film criticism has been published in Focus on Film, Newsday, Film and Filming, The Philadelphia Bulletin, Movieline, Cineaste, Video Times/Video Movies, The New York Daily News, The Boston Globe, Soho News, Timessquare.com, brinkzine.com, and FilmInk. He also authored the highly influence three-volume Cult Movie series.